As you can imagine, Thanksgiving in our home is celebrated a bit differently than the typical American way of enjoying a large feast of turkey and stuffing, pies and sauces. But we do enjoy spending time in the company of neighbors, many of whom are transplants as well, and being grateful for all we have. And, like any gathering, we enjoy a delicious meal that often includes beef or lamb but without a bird in sight! One of our favorite dishes to make is a potato au gratin from the My Field of Greens cookbook. The recipe and helpful tips can be found here and, while time intensive it is well worth the effort and makes for great leftovers the next day. And from what I understand about this American holiday, it really is all about the leftovers. I like to fry it up in a bit of olive oil, add a fried egg and some leftover prosciutto or bacon. It brings back fond memories of my mother’s bubble and squeak, although hers usually included mashed potatoes and cabbage. Delicious! We at Martin Pierce Custom Hardware wish you and yours a wonderful Thanksgiving holiday spent with family and friends. 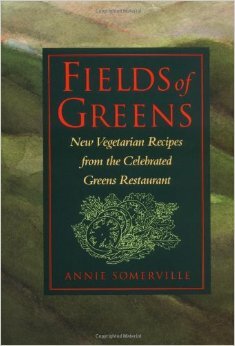 This entry was posted in Uncategorized and tagged field of greens cookbook, thanksgiving leftovers, vegetarian salad. Bookmark the permalink.